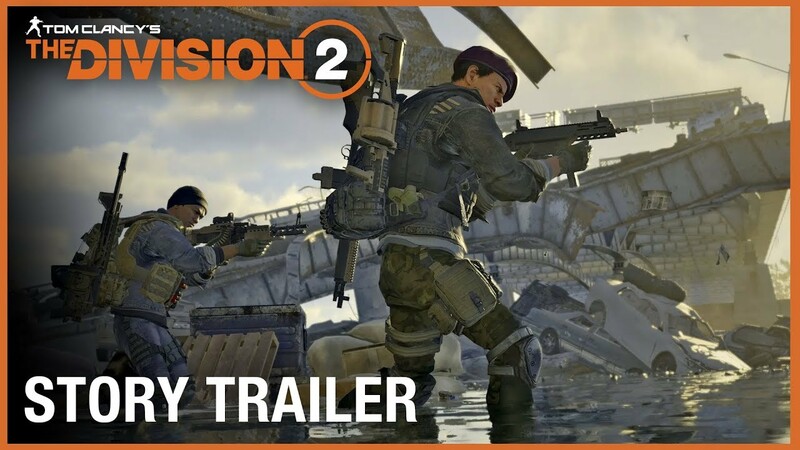 New 'The Division 2' trailer reveals story details and private beta dates – AiPT! Private beta for The Division 2 launches Feb. 7. Ubisoft has released a new trailer for Tom Clancy’s The Division 2, showcasing the game’s new D.C. setting while hinting at a greater threat to players aside from bands of outlaw looters. Alongside the trailer, Ubisoft announced Tom Clancy’s The Division 2 private beta will be held from Feb. 7-10. The trailer shows (presumably) the President of the United States delivering a rousing speech to rally Division agents to take back the nation’s capital. Unsurprisingly, the trailer boasts a ton of big explosions, walking, shooting, walking and shooting, quasi-post-apocalyptic locales, and cool gadgets. More interestingly, however, the trailer teases at a sinister secret group for agents to combat, a group that seems to be unaffected by the plague unleashed upon America. It will be interesting to see who this group is and what role they played in the downfall of American society. A follow-up to 2016’s online cooperative shooter Tom Clancy’s The Division, this sequel takes players away from the snowy streets of New York City and drops them in the sunny sprawl of Washington D.C. Like the first game, Tom Clancy’s The Division 2 will focus on cooperative gunplay and tactical gameplay as players attempt to reclaim D.C. after a vicious virus disrupts American society. The private beta for Tom Clancy’s The Division 2 launches on Feb. 7 and can be accessed by pre-ordering the game, or by visiting the game’s website signing up at for a chance to be selected. Tom Clancy’s The Division 2 is expected to launch on March 15 on Xbox One, Playstation 4, and PC. What do you think of the new trailer? Will you be picking up Tom Clancy’s The Division 2 this March? Let us know in the comments below.